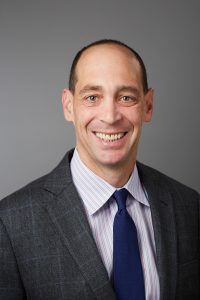 Chief Operating Officer of Yale Behavioral Health and the Yale Program on Supervision, and holds an appointment as Assistant Clinical Professor in the Department of Psychiatry of the Yale School of Medicine. He directs for Yale outpatient mental health and substance abuse services, crisis services and manages juvenile justice mental health statewide in Connecticut for pre-adjudicated youth. As a turnaround specialist, he was the interim CEO of a 155-bed addiction treatment center and of a community-based mental health clinic. He is a highly sought after expert in adult and adolescent behavioral health, providing due diligence consultation to private equity firms and serving as an expert witness in hospital and juvenile justice malpractice cases. Mr. Migdole is a dynamic speaker and trainer, serves on the editorial board of the journal Clinical Supervisor, and has authored numerous peer-reviewed publications.